During the 2018 PyeongChang Olympics and Paralympic Winter Games, most athletes will be eating at restaurants in the two Olympic villages in PyeongChang and Gangneung, where the Olympics will take place from Feb. 9-25, followed by the 10-day Paralympics, which will kick off on March 9. The food and beverage to be offered to athletes, staff and Olympic officials from around the world will be monitored at every stage before serving to ensure safety and quality, according to the PyeongChang Organizing Committee and the Ministry of Food and Drug Safety. During a press tour Monday at PyeongChang’s Olympic village, the committee and ministry officials monitored the food safety system that is set to start running ahead of the Olympics. Around 5,000 athletes -- 3,700 in PyeongChang and 2,500 in Gangneung -- will be eating at the village restaurants, where a total of 15,000 servings will be prepared daily. In order to eliminate the risk of food poisoning, food safety management groups and the internal Food Safety Expert Committee will be on site to conduct inspections of produce and ingredients, and each of the cooking facilities installed at the village restaurants before and after the cooking process. The groups and the committee consists of food safety experts from the government, universities and private sector, the organizing committee said. “The multicultural buffet-style restaurants will be serving up a total of 450 kinds of foods, four times a day, including Korean, Western, Asian and halal cuisines during the Olympics,” one of the food safety committee’s officials told The Korea Herald during the tour. “No teams participating in the games have notified us of their intent to purchase or import food materials on their own. Imported foods and the importing companies are also monitored by the committee to ensure food safety,” the official said. At each of the village restaurant, 318 food experts, inspectors and the organizing committee’s volunteers are scheduled to work around the clock for the on-site inspections, while laboratory vehicles set up just outside the cafeterias will test for bacteria in food samples through a real-time PCR kit before they are served, according to the official. 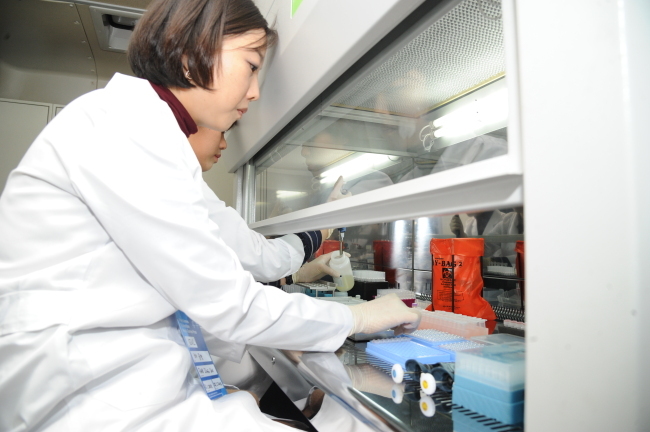 Separately, the ministry and Gangwon Province have also been conducting food inspections on some of the 4,321 local restaurants near the 13 Olympics venues spread across the counties of PyeongChang and Jeongseon, as well as the coastal city of Gangneung, as part of measures to prevent food viruses, including Norovirus, a common virus in winter, the ministry said.